Makeup goes a long way in boosting our appearance and also making us feel good about ourselves. As a matter of fact, there are many people whose career depends on makeup while others can’t step out without wearing this beauty accessory. Nonetheless, after a long day out, you will need to get rid of the makeup. This allows your skin to breathe freely, avoids clogging of pores and also helps you relax better. We unearthed the top 10 best makeup removers in 2019 that are not only functional and user-friendly but are loved by many people. But, before we look at the different products, it’s important to know what separates the best from average makeup removers. Skin type: People with normal skin can get away with normal makeup removers. However, people with highly sensitive or allergic skin need products with hypoallergenic properties. Ease of Use: A good remover should be easy to use and doesn’t require lots of experience or complex application tools. Top choices can easily be applied by hand even by inexperienced users. Final Results: Excellent removers will completely get rid of all makeup. This leaves your skin makeup-free and natural as possible. Versatile: The best product eliminates any kind of makeup whether creams, powders, gels, lotion or any other. It works on eyeliner, mascara, blush, shadow, lipstick, lip liner and much more. 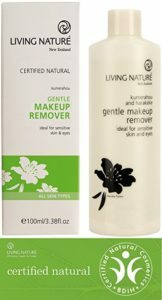 This makeup remover by Living Nature is ideal for the face and eyes. It’s 100% natural and contains effective and safe products that will eliminate any kind of makeup. These include Flax Gel, Glucose, Glycerin, and Xantham Gum, Witch-hazel, Manuka Honey and much more. The oil-free organic product also nourishes the skin and prevents inflammation thanks to its anti-inflammation properties. Unfortunately, it’s a bit expensive when matched up to some of its competitors. 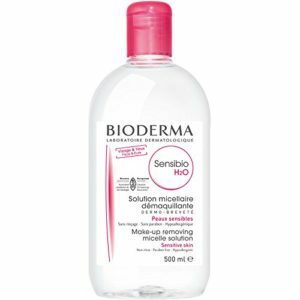 Removing mascara, eyeshadow, eyeliner and other makeup is simple with the Bioderma Sensibio H2O Water. The liquid solution is packed in 16.7 fl. oz works on any skin type and will easily eliminate the makeup without harming the skin or requiring too much effort. It also enhances the skin texture and hydration courtesy of dermatological micellar water that contains essential fatty acid esters. To avoid the lid cracking, you shouldn’t use too much effort when closing. The Shiseido Sengansenka oil is effective for eradicating makeup from your face with minimal ease. It blends super-micro water with an oil base to create a smooth but effective cleanser. The perfect oil eliminates excess oil, gunk, dirt and makeup, unclogging the pores and leaving the skin clean and natural. To keep the skin well-moisturized, it also contains Moisture-Captive amino acids. No dyes or colors are present and this assures you of minimal side effects. However, some users state that it may leave a mild oily film. Packed in a 150ml/ 5.1 ounce bottle, the Cow Brand Gyunyu oil will cleanse your skin of any makeup. It contains only the finest and natural oils derived from the palm tree, olive squalene and will work on any skin type. Applying the product is as simple as applying a few drops then rubbing it on your skin. The allergy-tested product doesn’t contain any mineral oil, fragrances, dyes, Paraben or preservatives, and this prevents any negative reactions. Although effective, the Gyunyu makeup cleansing oil isn’t the strongest on our list. 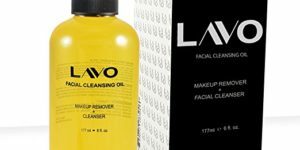 Removing makeup from your face is easy and safe with the LAVO Best Organic Makeup remover. It’s suitable for any skin type and works on mascara, eye makeup, foundation, sunscreen, lipstick, powder, BB cream and much more. The organic product is made from natural ingredients and doesn’t contain parabens, harsh chemicals or mineral oil. It emulsifies the makeup making it easy to wash off with water or wipes. You nonetheless need to use wipes or pads for the best results. 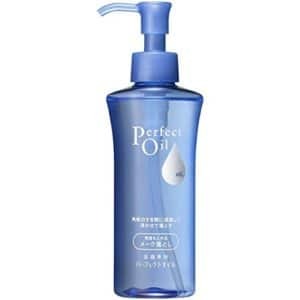 Packed in a 6.0 ounce bottle, this makeup remover by Shiseido comes in liquid form and is suitable for women and men. The dual-phase formula contains active ingredients for removing eyeliner, waterproof mascara, and other eye makeup. It is ophthalmologist tested and approved suitable for sensitive skin, contact wearers, sensitive eyes and can be applied on a daily basis. It doesn’t leave any oily film or dehydrate the skin. 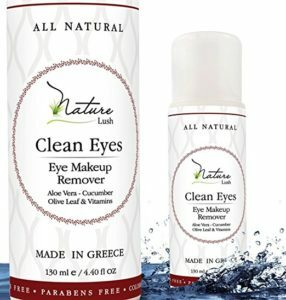 Rich in ingredients like Glycerid, Glycerin, Potassium Sorbate, Caprate, Water, Panthenol, Allantoin, Caprylate and Aloe Barbadensis Leaf, the Natural Lush makeup remover is perfect for any skin. The all-natural product is fit for eyeliner, mascara, eye shadow, blush, face makeup, eye makeup and more. It’s completely safe since it contains no parabens, paraffin, mineral oil, silicone or harsh chemicals. To enhance hydration and inhibit aging, the fragrance-free non-rinse cleanser also contains vitamins and antioxidants. Its price nonetheless is a bit on the higher side. 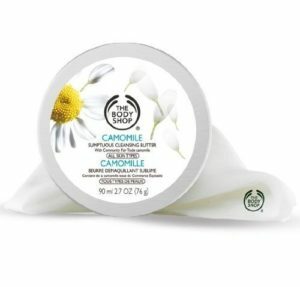 This makeup remover from the Body Shop brand removes any makeup from the eye, lips, and cheeks. It’s derived from ingredients like synthetic wax, chamomile, shea butter, sunflower seed oil, Olea fruit oil and many others. The cream gently melts away eliminating any makeup without leaving a greasy or oily effect. It also moisturizes the skin giving it smooth velvety appearance. According to some consumers, the makeup remover is a bit messy. This oil-free makeup cleanser by DHC will not only remove makeup but also leave your skin well-moisturized. It comes in a 6.7 oz, and is suitable for normal, dry, oily and sensitive skin. Some of its key ingredients include olive oil and vitamin E and will eliminate even waterproof makeup thanks to its exquisite water-soluble formula. 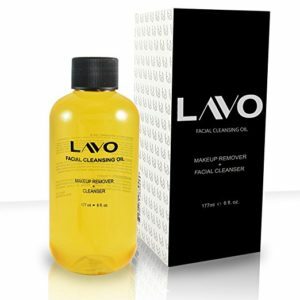 Besides removing makeup, the cleanser also gets rid of excess oil, dirt, and pore cloggers. It is tested and certified to be safe for contact wearer and sensitive eyes/skin. The cleanser may leave some mild oil-like film on some people. 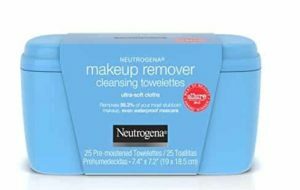 All it takes to remove makeup is a simple wipe with these Towelettes from Neutrogena. Packed in 25 counts, this pad contains an active ingredient that will easily dissolve makeup, oil, dirt, dust and other compounds. They come in an easy-to-use handy design and size for added convenience and simplicity. You also don’t need to rinse with water or apply a moisturizer thereafter as they are rinse-free and moisture-friendly. Notable ingredients include Benzoic Acid, Sucrose Cocoate, Sodium Hydroxide, hexylene Glycol and Isostearyl Palmitate among others. However, the cleansing pads may be a bit large for use in small sections. Makeup removers are applied on a daily basis to eliminate different types of makeup. This is done to allow the skin breathe better, combat clogging of pores and also help rejuvenate the skin. A good product will eliminate the gunk, dirt and other substances that if left on the skin for too long may harm the skin. We have summarized the top 10 best makeup removers in 2019 that are guaranteed to offer you amazing results. They are easy to apply, work on various makeup products, encourage healthy skin, and come with minimal side effects.